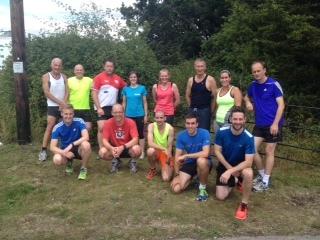 Well done to everyone who ran the handicap run today. 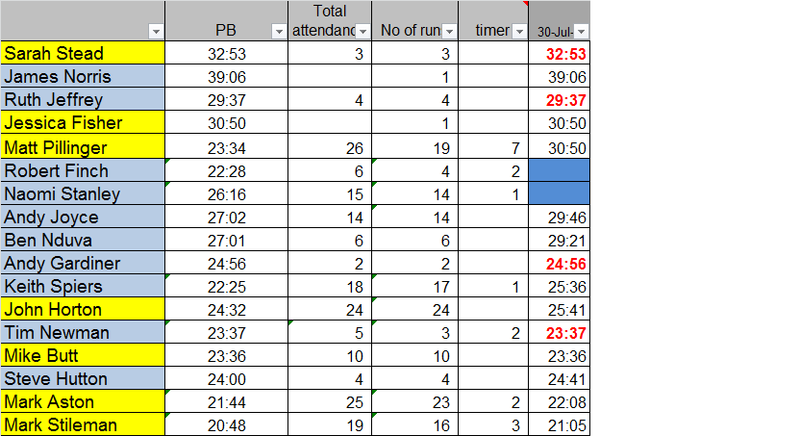 We had 15 runners, as compared to a YTD average of 16.6 and were pleased to welcome first timers James Norris and Jessica Fisher. There were also 4 Personal Bests, and by considerable margins and it is well worth mentioning these, in 4th is Tim who knocked only!!! 1:05 off his previous best, onto the podium and we have Ruth (1:20), behind Sarah (2:14) and on top spot, Andy who ran 2:22 quicker than his old Personal Best. The WAVA calculator site is unavailable at the moment, so unfortunately I can’t put WAVA grades up – I will try and do so later in the month. Mark Aston now takes the sole lead in the consecutive attendances competition – he has attended every event since last August and now takes the sole lead in the longest ever consecutive attendance competition, although I hear on the grapevine that he may be away for August’s event, in which case the baton will pass jointly to Mark Stileman and Matt Pillinger, who both have a run stretching back to February. Thank you to Naomi and Robert for starting us off, timing and recording finish times. The next event will be on Tuesday 25th August and I will send round an invite closer to the time.